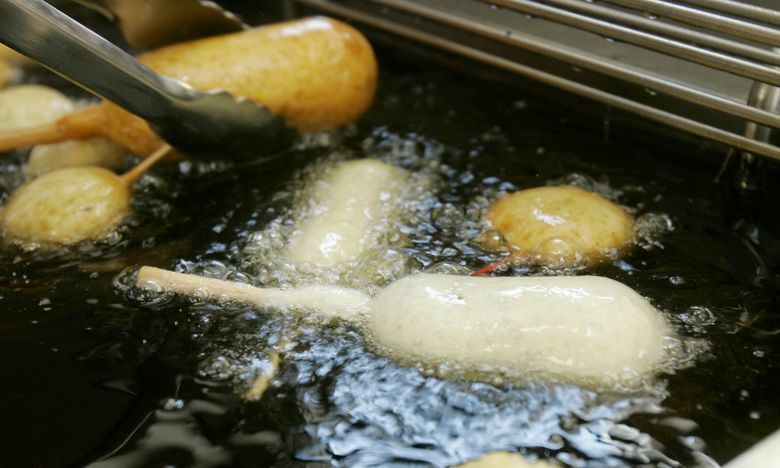 NEW YORK (AP) — The World Health Organization is calling on all nations to rid foods of artificial trans fats in the next five years. The United Nations agency has in the past pushed to exterminate infectious diseases, but now it’s aiming to erase a hazard linked to chronic illness. WHO Director-General Tedros Adhanom Ghebreyesus was expected to issue the call to action at a news conference in Geneva on Monday. Officials think it can be done in five years because the work is well underway in many countries. Denmark did it 15 years ago, and since then the United States and more than 40 other higher-income countries have been working on getting the heart-clogging additives out of their food supplies. The WHO is pushing middle- and lower-income countries to pick up the fight, said Dr. Francesco Branca, director of the WHO’s Department of Nutrition for Health and Development. Artificial trans fats are unhealthy substances that are created when hydrogen is added to vegetable oil to make it solid, like in the creation of margarine or shortening. Health experts say they can be replaced with canola oil or other products. There are also naturally occurring trans fats in some meats and dairy products. The WHO recommends that no more than 1 percent of a person’s calories come from trans fats. “Trans fats are a harmful compound that can be removed easily without major cost and without any impact on the quality of the foods,” Branca said. Countries will likely have to use regulation or legislation to get food makers to make the switch, experts said. Dr. Tom Frieden, a former director of the U.S. Centers for Disease Control and Prevention who worked with WHO officials on the call to action, called its move unprecedented. “The world is now setting its sights on today’s leading killers — particularly heart disease, which kills more people than any other cause in almost every country,” said Frieden, who is president of a New-York-based philanthropy-funded project called Resolve to Save Lives. The first trans fatty food to hit the U.S. market was Crisco shortening, which went on sale in 1911. Trans fatty foods became increasingly popular beginning in the 1950s, partly because experts at the time thought they were healthier than cooking with butter or lard. Food makers liked artificial trans fats because they prolong product shelf life and enhance flavor. They used them in such fare as doughnuts, cookies and deep-fried foods. But studies gradually revealed that trans fats wreck cholesterol levels in the blood and drive up the risk of heart disease. Health advocates say trans fats are the most harmful fat in the food supply, and say they play a big role in more than 500,000 deaths around the world each year. In the U.S., New York City in 2006 banned restaurants from serving food with trans fats. The same year the FDA required manufacturers to list trans fat content information on food labels. Many manufacturers cut back, and studies showed trans fat levels in the blood of middle-aged U.S. adults fell by nearly 60 percent by the end of the decade. In 2015, the FDA took steps to finish the job of eliminating trans fats, calling for manufacturers to stop selling trans fatty foods by June 18, 2018 — a deadline that arrives next month. FDA officials have not said how much progress has been made or how they will enforce their rule against food makers that don’t comply. “The removal of trans fats from the food supply as an additive counts as one of the major public health victories of the last decade,” said Laura MacCleery, policy director for the Washington, D.C.-based advocacy group, Center for Science in the Public Interest.